August 9, 2017 – Viking Cruises® (www.vikingcruises.com) today announced it has expanded its portfolio of partnerships with premier cultural institutions, with a summer season of events around the country. Viking has signed on to sponsor the United States tour of the acclaimed English boys choir, LIBERA, and the Ballet Sun Valley international festival this summer. The company has also extended its sponsorship of the Los Angeles Philharmonic at The Hollywood Bowl for the fifth consecutive season. These new partnerships build on Viking’s commitment to drive cultural insight and personal enrichment, with current partners that include National Geographic’s “Genius,” PBS’ MASTERPIECE, TED, The Metropolitan Opera, BBC, Highclere Castle, RHS Chelsea Flower Show, Oslo’s Munch Museum, St. Petersburg’s Mariinsky Theatre, among others. Ballet Sun Valley Summer Festival, featuring Xander Parish: Viking is the lead sponsor of the Ballet Sun Valley international festival, which runs August 21-24 and features dancers from six of the world’s leading ballet companies, including the American Ballet Theatre and London’s Royal Ballet. This unique festival was curated by Sun Valley-native and American Ballet Theatre dancer, Isabella Boylston, and will showcase a world premiere by emerging choreographer Gemma Bond, whose piece was inspired by the solar eclipse happening the day before the first performance. The one-night only world premiere on August 24 will feature video design by Kate Duhameland a live orchestra under the direction of Maestro Martin West. Xander Parish, a close friend to Viking – and the first Briton to be promoted to principal dancer with the Mariinsky Ballet – will be performing in several “Mixed Repertoire” performances during Ballet Sun Valley. The historic Mariinsky Theatre, upon whose stages have debuted the masterpieces of such great composers as Peter Tchaikovsky, is home to the world-renowned Mariinsky Ballet, Opera and Orchestra. Guests on Viking’s river cruises through Russia have for years enjoyed onboard performances by Mariinsky singers through Viking’s Privileged Access program—and now many of Viking’s ocean cruises also feature similar performances. For more information on Ballet Sun Valley, visit www.balletsunvalley.com. Viking Cruises was founded in 1997 with the purchase of four ships in Russia. Celebrating its 20th anniversary in 2017, Viking is the leader in river and small ship ocean cruising, offering destination-focused itineraries designed for experienced travelers who have an interest in geography, culture and history. In its first two years of operation, Viking has been rated a #1 ocean cruise line in Travel + Leisure’s 2016 and 2017 “World’s Best” Awards. Viking currently operates a fleet of 62 vessels, offering scenic cruising on rivers and oceans around the world. By 2022 the company will operate eight 930-guest ocean cruise ships and will be the largest small ship ocean cruise line. 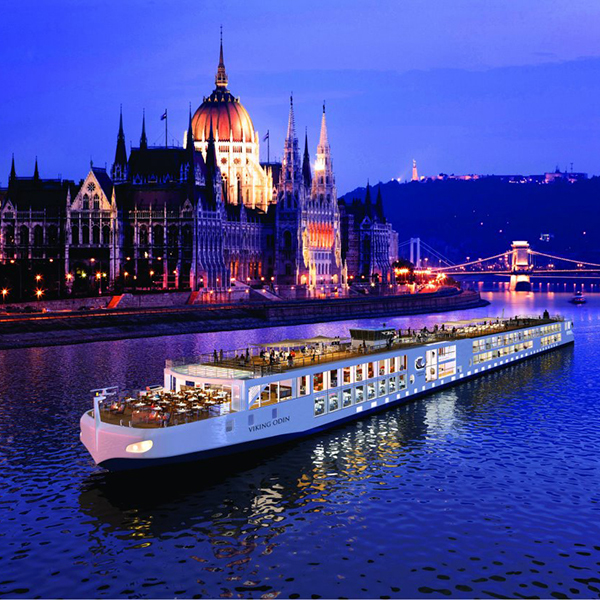 In addition to the Travel + Leisure honors, Viking has also been honored multiple times on Condé Nast Traveler’s “Gold List” as well as recognized by Cruise Critic as “Best Overall” Small-Mid size ship in the 2017 Cruisers’ Choice Awards, “Best River Cruise Line” and “Best River Itineraries,” with the entire Viking Longships® fleet being named “Best New River Ships” in the website’s Editors’ Picks Awards. For additional information, contact Viking Cruises at 1-855-8-VIKING (1-855-884-5464) or visit www.vikingcruises.com.